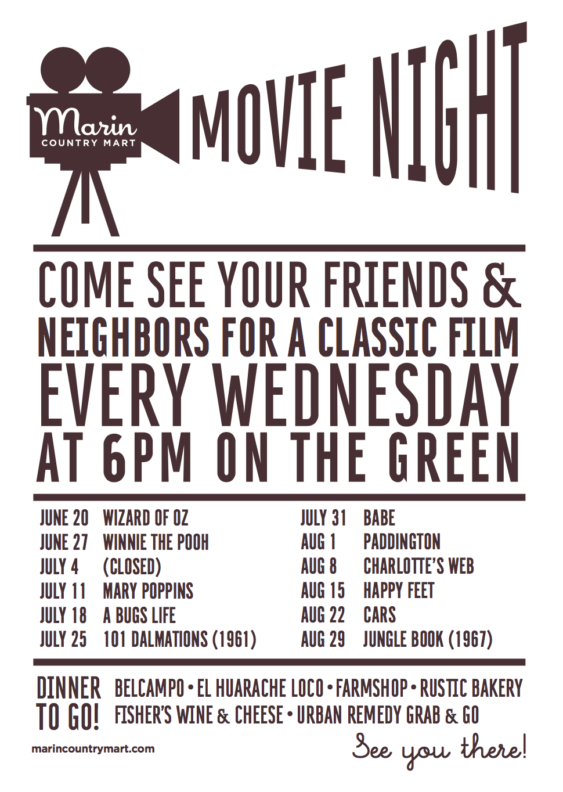 Bring your family to the weekly and complimentary outdoor movie night series at the Marin Country Mart at 6 pm on Wednesdays, June 20 – August 29, 2018. 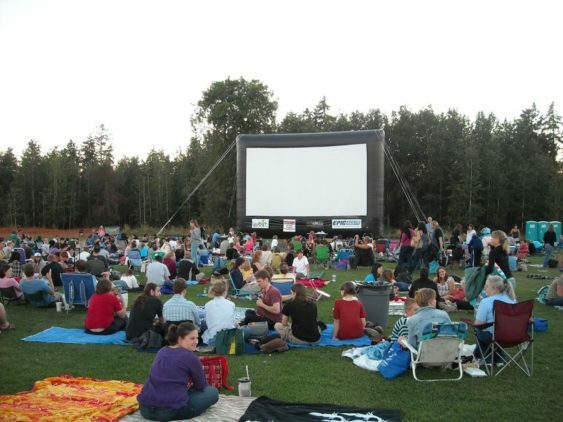 All Marin Country Mart events are held in the courtyard, where greenery and seating offer the ambience of a small village and an inviting setting where neighbors can meet and mingle. While many benches are available, visitors are encouraged to bring beach chairs or blankets to sit on. Food and drinks are available from eateries on the property.